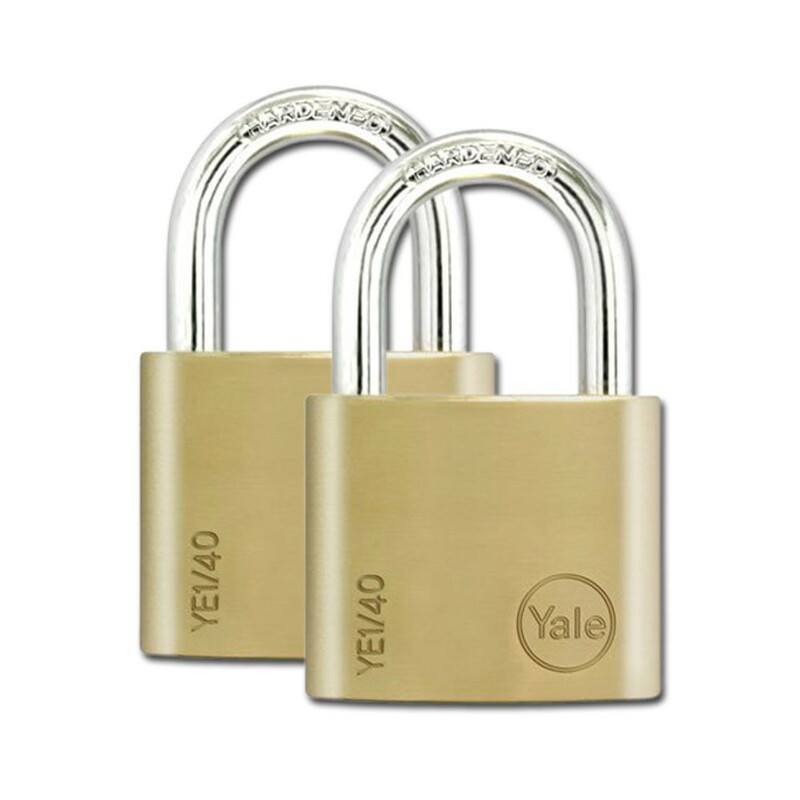 The YE1/40/122/2 Yale Essential Brass Padlock 40mm features a chrome plated hardened steel shackle and a solid brass body. It is snap locking thus not requiring a key to be locked and is weather resistant. Ideal for everyday use and suitable for a wide range of applications such as garages, sheds, storage, cellar doors, lockers and tool boxes. The Yale Essential Brass Padlock 40mm also features an anti-pull double locking latch. This is a multi pack therefore for convenience one key fits all padlocks.